Humanity has been devastated by the bizarre, giant humanoids known as the Titans. Little is known about where they came from or why they are bent on consuming humanity. Seemingly unintelligent, they have roamed the world killing off humankind for years. 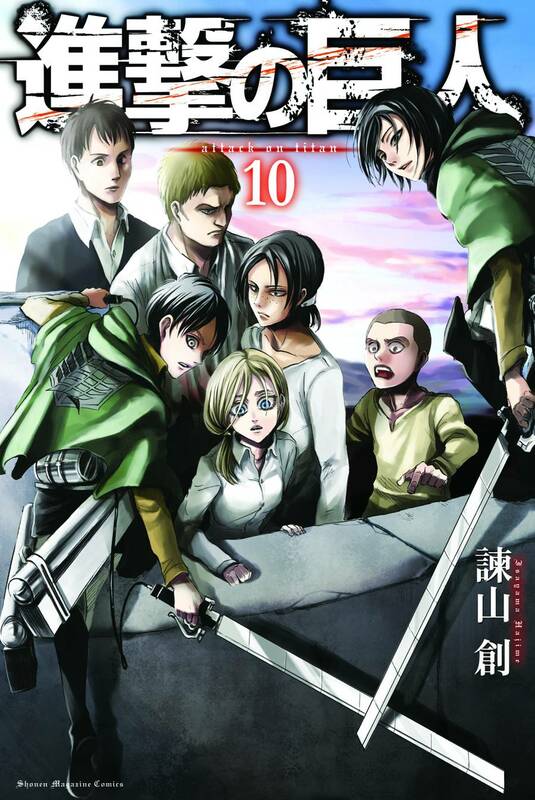 On the way to Eren's home, deep in Titan territory, the Survey Corps ranks are broken by a charge led by a female Titan! But this Abnormal is different; she kills not to eat but to protect herself, and she seems to be looking for someone. Armin comes to a shocking conclusion: She's a human in a Titan's body, just like Eren!